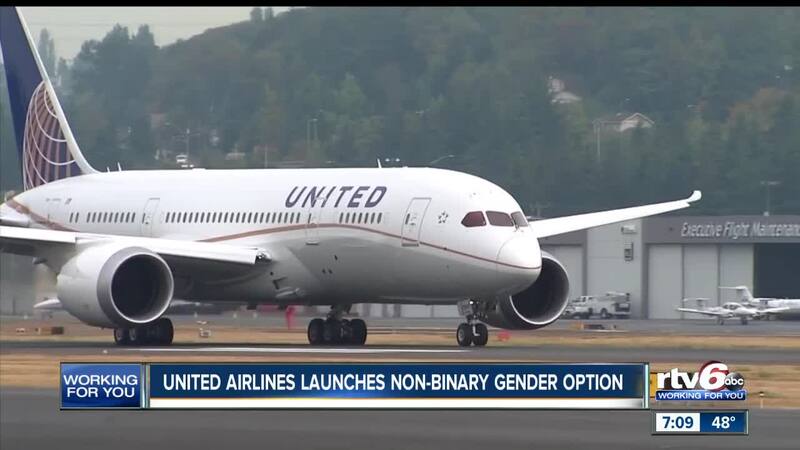 United Airlines launches non-binary gender option. People who identify as gender non-binary can now book flights under that designation on United Airlines. That change was announced on Friday, making United Airlines the first airline to offer this option. People who identify as non-binary don't see themselves as just masculine or just feminine. United said it worked with LGBTQ rights organizations to create the changes. United Airlines posted a tweet on Friday morning saying, "Fly how you identify. Our new non-binary gender options are now available." United Airlines said they worked with organizations to learn how to "phrase things" to be more welcoming.